Hello from chilly upstate New York! Between this trip and last week's trip to Vermont, I'm realizing that I really need to up my game when it comes to chilly-weather clothes. I've got the standards: black Gap pea coat, black cashmere-lined leather gloves, black scarf. Blah, blah, and blah. For what it's worth, the lining of both my jacket and my gloves is pink ... does that count for any "cute points"? I'm most in love with the $15 Target gloves above in that gorgeous yellow color. You can't beat that price with a stick, ya'll. Remember that you can go through Ebates when doing your online shopping ... for example, with the items above -- you could get 6% back at Kohls, 2% back at Target, 2% back at Banana Republic. I used Ebates last week when I shopped at C. Wonder for their awesome sale (50% off clearance) which is still going on! They give a whopping 7% back, my friends. 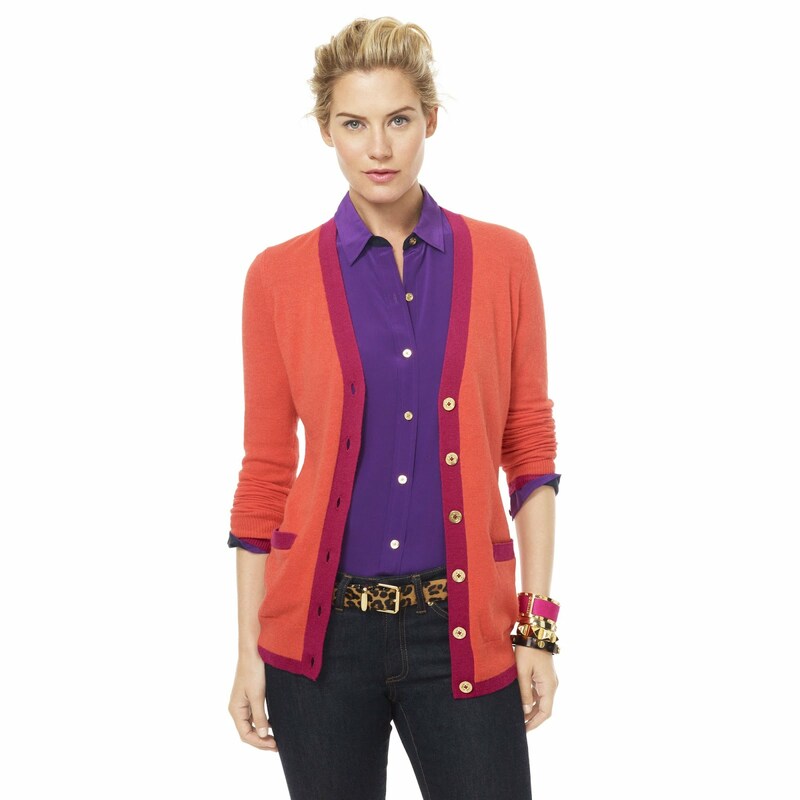 I got this precious Tipped Mid-Length Cardigan for about $28, and then I'll get my 7% cash back through Ebates. To see some of my adventures while traveling, follow me on Instagram at @alizadventures. The brightness in the midst of winter makes me long for the summer. I love the colors you have here. Those Cole Haan gloves are SUPER cute!! That cardigan is super cute! and I love the price! Oh and I *love* ebates, and I just discovered C. Wonder last weekend at the mall. New obsession! That cardigan is awesome!! And I love Ebates. I first heard about them a few years ago, but never stuck with the program. Then my sister started raving about how much she got back after doing a lot of Christmas shopping online. Uh, hello?? Insanely-addicted-online-shopper right here!! So I signed at the beginning of the year, and I'm loving it! Just found your blog. Can't wait to read more!! We need more color this season! Nice picks. Chess Pie. Best Ever. Serious. Why A January 1st Birthday is the BEST.